This February, and Adar in the Jewish calendar, marks the 40th yahrtzeit of Sydney Taylor, author of that timeless chronicle of the Jewish immigrant experience, All-of-a-KindFamily, and its sequels. Ella, Henny, Sarah, Charlotte, and Gertie became mirrors for Jewish girls, who grew up recognizing themselves in her nostalgic portrait of Jewish life. Whether you were raised on the Lower East Side of Manhattan, in suburban Long Island, the outskirts of Philadelphia, or any other American shtetl, you knew you could identify with one of the sisters, all richly drawn personalities, and yet so generic and lasting that the family did not have a last name. The four sisters of Louisa May Alcott’s Little Women have also imprinted themselves on the consciousness of American girls since they first appeared in 1868. This novel, with its idealized representation of New England family life during the Civil War, became a model for girls beginning to think about appropriate roles for women in a changing America. Jo has literary ambitions and she can never quite conform to society’s expectations. Eventually, she marries the highly educated if awkward German immigrant, Professor Bhaer, and establishes a progressive school for boys with her husband. Little Women teaches its female readers how to adapt to the challenges of their time: disease, death, the Civil War, an absent father, and genteel poverty. Almost a century, later Sydney Taylor’s All-of-a-Kind Family series became a kind of response to Alcott’s novel. While it is unlikely that Taylor purposively designed her stories as a Jewish alternative to Little Women, Alcott’s novel was standard reading for girls growing up in Taylor’s era and the parallels between the books are obvious. All-of-a-Kind features five girls, not four, but the journeys of both sets of characters have points in common. Just as the March sisters in Little Women are guided as Christians through identification with Bunyan’s Pilgrim Progress, the five sisters of Sydney Taylor’s books also must “march” forward, yet they are outsiders. Many of their family members speak a mixture of Yiddish and imperfect English, they do not share the experience of Christmas, and they live initially in a highly ghettoized Lower East Side of New York City. Their food is Jewish, their religious ceremonies and celebrations are Jewish, and their future will clearly be Jewish as well. Yet they are Americans, and each ethnically inflected episode also reflects their family’s commitment to that promising new identity. As a child reading Taylor, I knew that these girls were somehow closer to my own experience than were Meg, Jo, Beth, and Amy, but the ties between the two sets of girls affirmed that I, too, could be both. Do girls today still see themselves reflected in Taylor’s characters, or are Ella and Sarah as remote and distant from them as Jo and Beth March? The All-of-a-Kind books were published between 1951 and 1978, a span of years during which American Jewish life changed radically. The first book corresponded to the postwar years of new prosperity and limited assimilation. Jews still lived in relatively segregated communities, rarely intermarried, and generally conformed to some standard level of at least minimal religious observance. By the last book in the series, Ella of All-of-a Kind Family, the civil rights and feminist movements had successfully challenged many barriers in American life. Taylor’s first readers mainly lived in stable circumstances, more affluent and less threatened than the Lower East Side Jews of the pre-World War I era which is the setting for the first books. If Little Women still held relevance to girls of the 1950s, 60s, and 70s, particularly as a book where girls assert their individuality and seek a place in a changing world, Jewish readers could find a complementary reality in Taylor’s work. We all remember the famous first lines of Alcott’s book: “Christmas won’t be Christmas without any presents.” What if your family did not celebrate Christmas? These New England girls somehow seemed privileged to me even as they kvetched about their poverty. Their first collective action in the book is to deprive themselves and pool their money to buy Marmee a modest gift, one stamped with each sister’s individual personality. Meg’s pretty hands lead her to decide on warm gloves, while Jo, determined to reject traditional femininity, chooses army shoes. Vain Amy envisions “a little bottle of Cologne,” with the emphasis on the bottle’s small size, which will leave her enough money to purchase a gift for herself. Beth is practical in her choice of a handkerchief. Sydney Taylor adapts this episode for second-generation Jewish immigrants. In the first book of the series, the sisters resolve to buy Papa a birthday gift. Unlike Mr. March, away fighting in the Civil War, he is an everyday presence in the girls’ lives. They love him, but fear is also part of their relationship with a parent who will punish them if they cross the line. The girls enter “Mr. Pincus’s bargain store,” where the owner tries to communicate with them in broken English. In all likelihood, these girls would have understood Yiddish, but would be strongly encouraged at home and in public school to speak the language of America. Taylor’s readers may still have heard Yiddish from their grandparents, but were far less likely to understand it. Having rejected Mr. Pincus’s suggestion of “a nize ledder pocketbook” or a handy knife, in addition to the beautiful shirt that would be far too expensive, they are ready to give up their search, when Mr. Pincus offers them an elaborately decorated china cup and saucer. The cup includes a ledge for Father’s mustache, and is labeled with his most important role, “Father.” When he receives this item he is disturbed that they have spent money on a gift for him. In fact, this American custom of children presenting their parent with a gift has to be “translated” for him. He accepts it with ambivalence, but expresses joy. The girls choose one gift together, because their individual traits are less important than pleasing their father. This made perfect sense to me as a child in a Jewish family, where father did certainly still know best. (My own father won an almost identical cup playing Skee-Ball at the Far Rockaway boardwalk. He did not have a mustache, because by the 1960s most American Jewish men were clean-shaven). Like the March girls, especially Jo, the All-of-a-Kind sisters are bookish. The public library plays an ongoing role in their lives, as the purchase of books would be an almost unthinkable expense. Like most turn-of-the-century Jewish immigrants, they attend public school and supplement that education in the public library, an unbelievable gift for upwardly mobile refugees from eastern Europe. When Sarah is panicked at having misplaced a book, the understanding gentile librarian allows her to pay for it in installments. Jo March, on the other hand, is granted access to the immense private book collections of friend Laurie, and her wealthy Aunt March. Both books emphasize literacy as a path to self-improvement, but Taylor’s readers could recognize themselves in Sarah’s dilemma of an overdue library book much more easily. In one chapter of their saga, Taylor’s characters receive a “rainy day surprise,” when a group of peddlers who collect metal, rags, and paper for Papa’s warehouse come across a pile of used books. The girls inherit a complete set of Dickens, the author who gave a name to the March sisters’ Pickwick Club. So much of this episode is now absent from Jewish American children’s lives, for whom access to reading material in any form they choose is no longer a privilege. Yet to many American immigrants, the public library is still a resource and a haven. Then there is religious observance, another sector of Jewish American life which has dramatically changed. The March sisters are Protestant, as far from the emotive and physical religious life of Taylor’s characters as could be. Their faith is centered around the values of the New Testament; we see very little ritual and few life-cycle events in their story. (Amy is attracted by their Catholic maid’s rosary beads, but reluctantly concedes that they are inappropriate for Protestant prayer.) In contrast, the girls of All-of-a-Kind-Family constantly incorporate physical objects into their spiritual lives: menorahs, Sabbath candles, Chanukah dreidels, and booths for the Festival of Sukkot. This celebratory part of Jewish life in America has actually changed less than other elements of Taylor’s books. Each holiday observance is carefully explained and incorporated into the family saga. An interesting choice is Aunt Lena and Uncle Hyman’s participation in the P’Idyon Ha-Ben ceremony for their first-born son. This observance had already become less common by the 1950s among non-Orthodox Jews, while brit milah, ritual circumcision, remained the norm. Taylor must have assumed that describing the latter would have presented difficulties in a children’s book. Today, when redemption of the first born is not commonly practiced outside of Orthodox communities, the charming description of the ceremony might seem as foreign as the March girls’ devotion to Pilgrim’s Progress. One dramatic contrast between Alcott’s and Taylor’s stories is the attitude towards disease and mortality. This largely reflects the development of vaccines and antibiotics, which greatly reduced the incidence of childhood death and the terror it induced in parents. However, there is also a Jewish element in Taylor’s representation of sickness and disability. Her characters are survivors, equipped and determined to succeed in the here and now. Most of us remember Beth’s early death as a traumatic part of reading Little Women. It was foreshadowed by her exposure to a sick infant, but also made to seem inevitable because Beth was somehow too good a Christian for this world. In All-of-Kind Family the children contract scarlet fever without long-term consequences, while in More All-of-a-Kind Family Aunt Lena falls victim to polio. Lena at first suffers from what today we would recognize as clinical depression as a result of her disability, but Mother jars her into recognition of how “selfish” this response really is. While Beth’s frailty, along with her moral perfection, make her death seem sad but acceptable, the girls’ Aunt Lena is impacted, but not destroyed, by her illness. Mother asserts that Lena’s disability only makes her more suited to be Hyman’s wife: “Don’t you know Hyman would rather have you with a bad leg than anyone else in the whole world?” She becomes a symbol of resilience, an immigrant polio survivor who proudly walks up the aisle to the chuppah with her leg dragging in a brace, and no parents to accompany her. Forty years after Taylor’s death, American children, fortunately, have a much wider range of books about the immigrant experience. There are fewer Jewish immigrants and most come from parts of the world other than Eastern Europe. Taylor’s Bronx and Lower East Side of settlement houses and penny candy stores are now scenes from a sentimentalized past. Yet For American Jews, Taylor’s works preserve an era when we could both fit in and stand out. The apparent security we now enjoy in America should make the All-of-a-Kind books more relevant, not less so. Just as their original readers benefited from Taylor’s creative engagement with Little Women, Jewish children and educators today can connect with her characters and reinvent her legacy for the future. Probably today many more people have heard of Louisa May Alcott’s Little Women than have ever read it. Yet when it was published in 1868, it become a phenomenal success, famously gaining Alcott some of the financial independence which she and her family needed. It remained a best seller well into the twentieth century. This book spoke to generations of readers about what it meant to be an American girl (before there were historical dolls and books to fill that niche!) Initially, there were historical, social, and religious themes that resonated with readers: the incomprehensible tragedy of the recent Civil War, the devout Protestantism of many Americans of the time. But there was also the utterly fascinating construction of a female-centered universe headed by a strong matriarch, Marmee, and centered on the trials and the distinctive personalities of four very different “little women.” Jo, in particular, became a kind of symbol of girls who don’t fit the mold, who have ambitions that society might not consider legitimate. She is dramatic and literary, and she even chooses to marry Professor Bhaer, an older immigrant professor who shares her values. Then, by the 20th century, things gradually began to change. Beverly Lyon Clark does a terrific analysis of this change in her book, The Afterlife of Little Women, in which she explains how the book transitioned from being one which everyone read, to one which was much less popular, yet continued to have a long-lasting cultural impact. There have been movies, plays, illustrated books, an opera, TV series, and dolls based on Little Women. In fact, until only a few years ago the Madame Alexander doll company, founded by Jewish entrepreneur Beatrice Alexander Behrman, produced a different collection of Little Women dolls each year, so someone was continuing to buy them. The All-of-a-Kind Family series could never have achieved that level of popularity or influence, but to me, and to my sisters, my friends, and later, my daughters, Ella, Henny, Sarah, Charlotte, and Gertie were as relevant as the March sisters, maybe more so. They were Jewish. They came from an immigrant family. They celebrated Jewish holidays and Jewish life-cycle events. 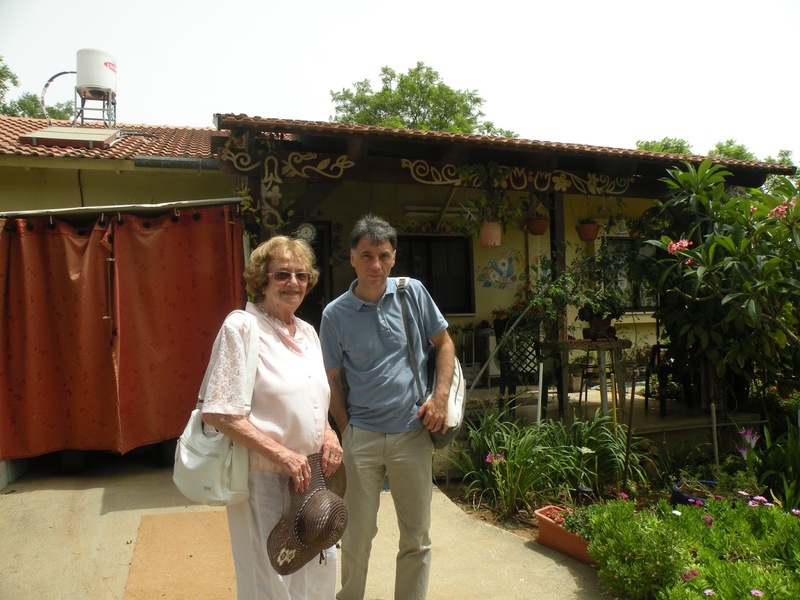 Their home was imbued with Jewish values. Yet they were also sometimes conflicted, mildly rebellious, and briefly disappointing to their parents, even though all problems were ultimately resolved. They were also, like the March girls, bookish. Reading, visiting the public library, almost earning a history prize in school, were key themes and episodes in the books. The pictures, interestingly by four different illustrators, were an integral part of the nostalgic world of the books, nostalgic because even the original readers had probably not grown up on the Lower East Side, but often in more assimilated and possibly affluent surroundings. The girls of All-of-a-Kind Family­ had been their parents or grandparents. Now, this past is much more remote. I love the reader’s guide to the series produced by the Association of Jewish Libraries. I hope we can continue to think about ways to ensure that these stories continue to have a life, as well as an afterlife. I actually can’t remember when I started thinking about the parallels between the two books. I’m sure that I noticed them as soon as I read Little Women, which would have been at an older age than when I first read All-of-a-Kind Family. I certainly identified with both the adventures and the inner lives of the characters in both books, particularly those concerning family relationships and a love of reading. I was also always acutely aware of the differences. I may have been as obsessed with reading and becoming a writer as Jo, but her New England yichus set her at a remove. While I had not grown up in the same setting as Taylor’s characters, my parents and grandparents had. Many experiences in Jewish American life had changed, but the holidays, rituals, and obsession with education had not. Even the addition of a male child to the family in All-of-a-Kind made it more recognizable. Papa, who had given up on having a boy to continue his name and pray with him, cries at this fulfillment of an undeniable part of Judaism at that time: patriarchy. There was also still a real sense of difference between Jews and gentiles when I was a child, one which, at least for most American Jews, has now dissipated. At some point I began to connect and compare specific aspects of the two authors’ work through this lens. I hope that other readers who love both authors’ work as much as I do might also, not only reread but relive these books, and discuss what parents and professionals can do to continue to keep classics relevant. These books have value in their own right, but, just as Alcott influenced Taylor, it’s exciting to think about how contemporary books for kids can continue this “conversation” with the past. Certainly, for Jewish parents and educators, the obligation to make the past come to life is a creative challenge as well as a mitzvah. 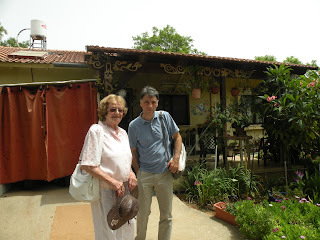 I have contributed to several different Jewish publications and I enjoy writing for them. My blog fills a somewhat different role. First, on Imaginary Elevators, I don’t write exclusively about Jewish books, but I have the freedom to include them as often as I like. There is a limited intersection between Jewish and general interest publications which cover kid lit. (Marjorie Ingall’s articles on Tablet are among my favorites.) Understandably, publications devoted exclusively to children’s books, including The Horn Book and School Library Journal have hundreds of great new books to evaluate each year. While they do review many with Jewish themes, and have long form articles about both new and classic works, there is inevitably a complementary role for people who love books to share their perspectives on blogs. My kids, who have supported my obsession with children’s books for a long time, kept nudging me to start a blog and I finally listened to them. While I have a doctorate in literature, my real entry into children’s literature was as a bookish kid, a mother, and now a grandmother. I try on my blog to feature the kinds of connections between past and present which I have done with Alcott and Taylor. I like to rave about authors and illustrators whose work appeals to me. I also have the opportunity to bring up issues in children’s literature that are not exclusive to particular books. When I choose any topic for a blog entry I hope that it gets people thinking and going off on their own tangents. Here I am going to sound like Kathleen Kelly in the late Nora Ephron’s You’ve Got Mail, but if you are reading a blog about children’s books, then you understand that they had a formative role in who you have become. The Sydney Taylor Book Award Blog Tour is taking place February 4-8, 2018. Today, one of the blog tour stops is here at The Book of Life! We are interviewing Antonio Iturbe, author of Teen Readers Category winner, The Librarian of Auschwitz. English is not Antonio's first language, so it was very kind of him to tackle these questions for me! 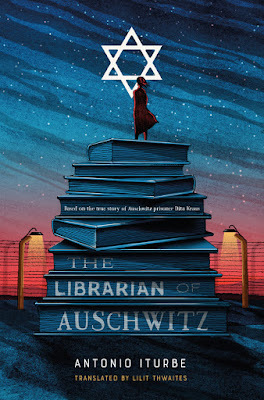 How did you learn about the library in Auschwitz and why did you choose to write about it? The way I found this story was by following threads in books. Reading expert Alberto Manguel wrote a book called The Library at Night, in which he talked about the most famous libraries in history: Alexandria, the Library of Congress… and in one chapter, in just a few lines, he mentioned that in the Children’s Block in the Auschwitz Camp there was a small, clandestine library of just eight books. Then I found more information in the book of the American Holocaust expert Nili Keren: Anatomy of the Auschwitz Death Camp. It was the beginning. I wanted to know more and more and in a certain moment I decided to explain the story because it is astonishing to find library in the exact center of hell. This library had only 8 books. Why was the library so important? It was small in the number of books, but great as a symbol. In a time of basic survival, some people had the courage and generosity to organize a secret school and even a little library. A school in the middle of the horror of Auschwitz is a strong way of rebelling. What was it like to meet Dita Kraus, the real librarian of Auschwitz? What does Dita think of your book? To meet Dita Kraus has been one of the most important things to happen in my life. She is an upright woman with a special energy. She is marvelous. About the book, she scolded me as if I were a kid, because she said I exaggerated her role and courage; and she is very insistent in specifying that she did not do anything different than other inmates. She is a very humble person. Your book is not entirely nonfiction. Can you talk about the parts you made up, and why you chose to do that? The book is not a biography. It is fiction. We need the lie of fiction for arriving at a deeper truth. History books are full of numbers, dates, and facts, but they do not explain anything about the pain, the hopes or the dreams of the people. All of the main characters in the book are real (except one, that is my voice in the novel). Big facts and characters are the bricks of reality in the book, and fiction is the cement that unites them. Auschwitz is a difficult topic to write about. Were there positive things that came out of writing this book? I think is positive that people can know the story of the Block 31 the Family Camp now. They risked their lives to build a school for kids. I am happy with my little contribution to keep alive the memory of those wonderful people who never gave up hope. Antonio, thank for this interview and congratulations again on receiving the Sydney Taylor Book Award! Please visit all the stops on the blog tour! You can find the schedule here!